I am up to FOUR of this type of furry family member, each with a distinct personality, but I get a kick out of everyone else’s, especially your character above! One at a time is our quota. Hobbes sleeps where he falls, Laurie! 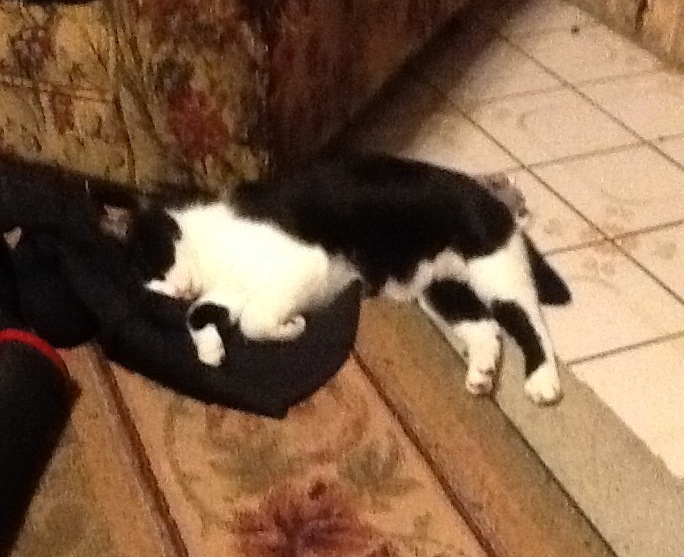 LOL- He was soaking up the fire in the fireplace last night and zonked out on my boots. Ahhh a quiet moment to refuel.